It is hot ! ! ! Have you noticed the cars in the parking lots are no longer parking near store entrances. Instead the cars are parked under the nearest shade tree. We know trees create shade but the cooling effect you experience when you are under the canopy of a tree is greater than the shade. Trees also transpire water into the surrounding area. The water transpired by the plants cool off the temperature in the area. Just like an air conditioner, the area around plants can be 20–45°F cooler than the surrounding area. On black, paved surfaces the cooling effect is even greater – sometimes over 80°F. 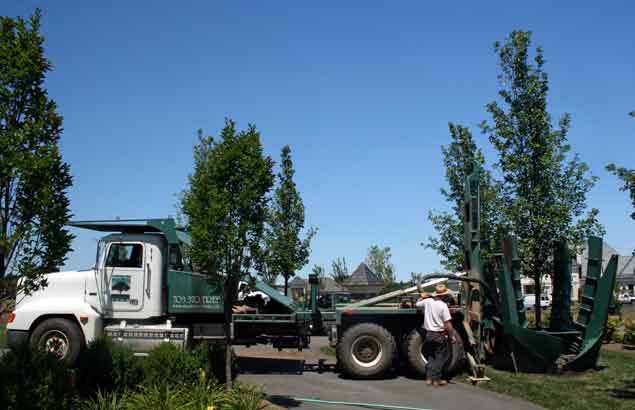 Tree planted around your home or business not only beautify, the reduce your air conditioning expense. In the summer, air conditioners are usually the largest energy users of energy in your home or office. Trees, planted around, you home may reduce your summer time cooling needs by over 20%. Peak demand energy reductions, when energy conservation is especially important, are even greater. Click here to read the Arbor Day’s summary of the benefits of trees. Anxious to get started creating a cool shaded area on your property? Trees can be planted on your property during the summer months successfully by harvesting the tree with a larger than normal root ball. 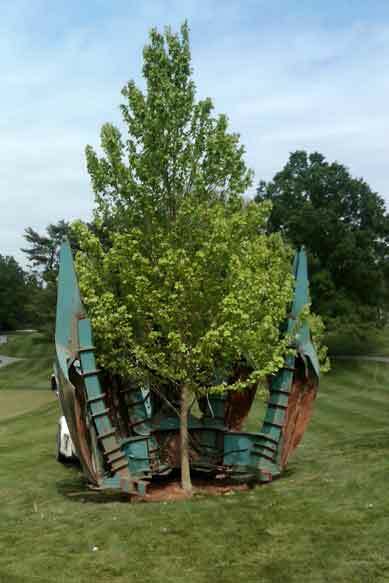 This is accomplished with ease using our truck mounted tree spades. It is possible to transplant up to a 6” caliper nursery grown tree, usually measuring between 20 and 25’, in full leaf. The tree will then create instant shade and start cooling it’s new setting.